The state of New Hampshire sits adjacent to Connecticut and share a lot of the same geography of the area with forested New England territory. New Hampshire has the proud distinction of being one of the 13 original colonies, and today relies heavily on tourism and regional interest. It's also a major destination for retirees as the state has no income tax and no general sales tax. New Hampshire has a large number of universities as well with famous names including Dartmouth and Franklin Pierce. With a small southeastern corner of the state having coastal access, not surprisingly it's also the concentration of population and residents as well. No matter how you slice it, the Granite State is small - by area, it's the 46th largest state, and with 1.3 million residents, it's the 42nd most populous. That said, NH is a relatively densely populated state, with 147 people per square mile. The state economy produces roughly $60 billion annually, and the median household income of nearly $50,000 is 7th highest in the nation. In the last year, home values improved by nearly 6%, bringing the median up to around $200,000. Of course, not every city is equally expensive. By median sales price, the most expensive cities are places like Gilford and Moultonborough, where the average home lists for $600,000-$700,000. The least expensive areas are Claremont, Rochester, and Ossipee; the median sales price in these cities is $150,000-$180,000. The Boston Globe named South Hookset, East Merrimack, and Concord as three of the best towns for raising a family in New England. Manchester is NH's largest city, and its metropolitan area is home to about 33% of the state's citizens. Though it's a bit on the small side, Manchester consistently ranks well in studies on affordability, quality of life, and more. Here's one from CNN Money and another from Kiplinger. Manchester has grown rapidly in the past few decades and looks poised to continue. In 1997 and 1987, Money Magazine named Nashua the best place to live in the United States. The technology industry is a key driver of the local economy; tech giants Hewlett Packard, Dell, and Oracle all have offices in the city. There are a lot of options when it comes to banking. First, you'll find the community banks, smaller institutions that were designed to serve specific neighborhoods. These banks tend to know the area very well, working closely with small businesses and residents alike. Next, you have credit unions. In a credit union, you are actually a member and an owner, and credit unions are often able to offer better or more flexible terms as they are not-for-profit. Finally, there are large, well known banks that have a branch close to where you live. You can't expect the same close relationship you'd get at a local bank or credit union - there are simply too many customers - but you can expect ATMs and branch locations when you travel outside the state, and generally places like Bank of America have top of the line online banking and mobile apps. For a rustic, New England lifestyle New Hampshire offers a great location, and RateZip.com can help with finding the best mortgage rates for the region. Our financial search engine makes it simple to compare offers from multiple different lenders, whether you're buying a new home, moving up to a bigger property, or refinancing a mortgage. The most basic type of mortgage is the conventional fixed rate loan. These are originated with terms of 30, 20 or 15 years, and the interest rate remains steady throughout the life of the loan. The 30 year fixed is the most popular mortgage in New Hampshire and throughout the country. Next, you have adjustable rate mortgages, better known as ARMs. ARMs got something of a bad reputation during the financial crisis, but these loans can make a lot of sense for homeowners who plan on moving within a short time frame. Basically, an ARM begins with an artificially low teaser rate for what's called the introductory term. After this term ends, the loan adjusts every year according to an index, giving you a market interest rate on your loan. 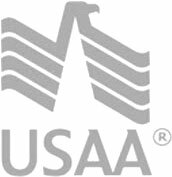 The Department of Veterans Affairs (VA) insures VA mortgages, which are home loans for veterans of the armed forces. Though you won't get your mortgage from the government, the VA provides insurance which allows VA mortgage lenders to offer flexible terms that simply aren't available in the conventional market. With a VA loan, you will not need to put as much money down - sometimes nothing down - and you can still get approved with less than perfect credit.